Develop a whole new understanding of your core with an efficient, challenging workout for the whole body which stresses exercise variability so that the body is constantly adapting and growing to better performance. It is a 1 on 1 instructed training unlike anything you have ever experienced. This is a fee-based class offered by Dr. Brian McMasters. Call Signal Hill Chiropractic Center, 513-248-1040 to schedule or receive more information. 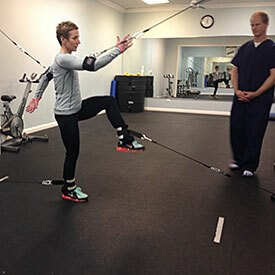 Dr. McMaster knows first-hand what it takes to reach your health and fitness goals. 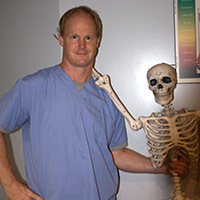 Dr. McMaster was an accomplished varsity athlete in football, ice hockey, and rugby through high school and university. Dr. McMaster majored in biology while working toward a BSc. at Wilfrid Laurier University in Ontario followed by a Doctor of Chiropractic from the acclaimed Canadian Memorial Chiropractic College in Toronto. Dr. McMaster has been in practice since 1994, beginning in the Milford area in 1995. Dr. McMaster owns and operates the Chiropractic Center (at Miami Athletic Club), and provides the perfect combination of academic knowledge and personal experience to help you attain your health and fitness needs.